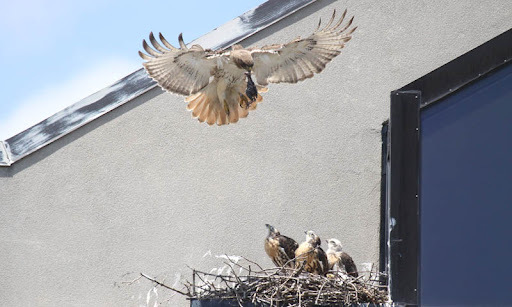 This entry was posted in Life in General and tagged Heather Masse, red-tailed hawks. Bookmark the permalink. Baby hawks! Wacky Kansasians! (Kans-ites? Kansassers?) And wow…those pics are fabulous. I will be having an adult beverage shortly and will raise it up to the health of those babies. Thank you Joy! You always make me smile.